Most cat lovers have jokingly referred to themselves as a “crazy cat person” at some point in their lives. Some of us may even have several cats in our homes, but jokes aside, we are sane and capable of taking care of all of our cats. Then there are cat owners that go from “really loving cats” to hoarder status. Animal hoarding is not only dangerous to the animals in the hoarding situation, but also to the hoarder themselves. The term “animal hoarding” doesn’t simply refer to an individual who possesses more than the typical number of companion animals. 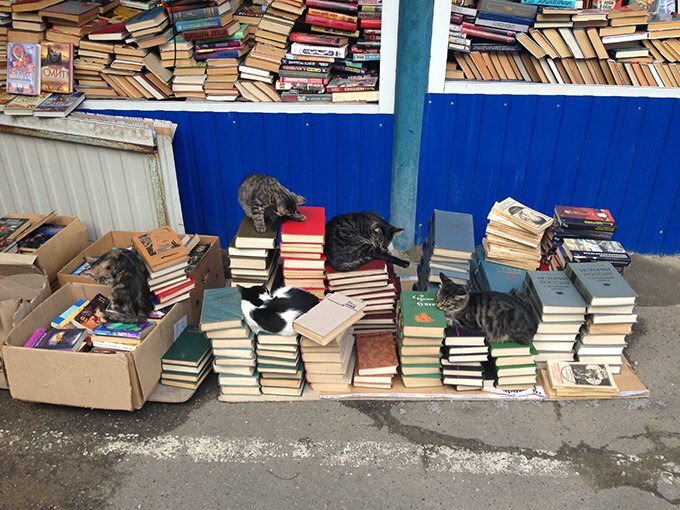 Someone could own fifteen cats and still not be considered a hoarder. Having a significant amount of cats turns into hoarding when the collecting of cats becomes compulsive and endangers the animals. Hoarders do not have the resources or capabilities to care for all of the animals in their home, may not even know how many animals are in their home, and will be in denial of the inability to take care of all of the animals in their possession. So how does one become an animal hoarder? After all, most people who become animal hoarders are often animal advocates; they wouldn’t knowingly do anything to harm their pets or any other animals. Early research suggests that animal hoarding can be a variant of obsessive-compulsive disorder. There have also been a lot of viral pieces on Toxoplasma Gondii, a parasite that can be found in cat feces. In mice, this parasite alters the mice’s brains so they are attracted to cat urine, making it easy for cats to catch them. It has been hypothesized that this parasite can work in a similar fashion on humans, making the presence of more and more cats soothing. However, no concrete research has surfaced proving this theory. Newer research suggests animal hoarding can stem from a variety of factors, such as attachment disorders and delusional thinking. For example, if a person was unable to bond with peers in school, they may have anxieties around human socialization. Cats or other animals may be a comfortable companion to someone with social anxiety or severe depression. Some cat hoarders consider themselves “rescuers,” and will grab cats off of the street and bring them into their home. To this type of cat hoarder, they truly are helping this cat, even if they are bringing them into a home environment that is overcrowded and toxic in reality. Cat hoarders will often do one small thing – such as clean out a tiny corner of a room for a new cat bed – and feel incredibly accomplished. These tiny efforts do not negate the room that reeks of ammonia due to unchanged litter boxes, feeble cats lying under the bed for days, or such tight living spaces that cats are fighting. The individual in question cannot tell you exactly how many cats/animals they have in their home. The individual’s home is in disarray, IE, dirty windows, furniture that is broken and completely chewed through, extreme clutter, an intense smell of ammonia due to cat urine, and general destruction. Animal feces and vomit covers the floors of the individual’s home. The individual insists that each of their animals is healthy, despite physical evidence that they are not. 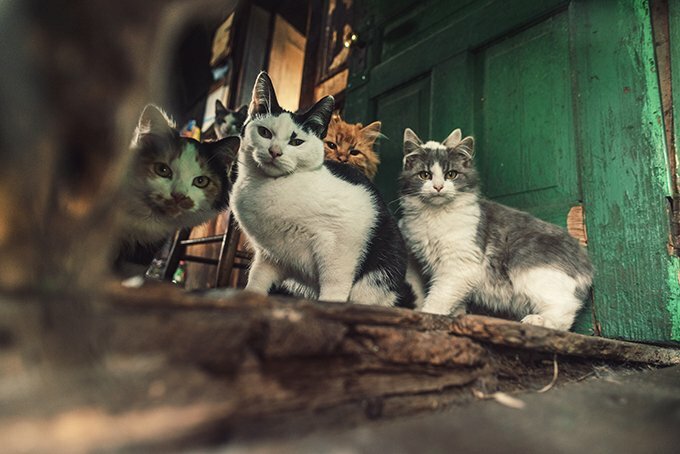 Cats in a hoarder’s home are often ill, emaciated due to lack of food, and most likely are covered in fleas, ticks, and possibly mange or other parasites. Cats could also be pregnant due to lack of spaying and neutering. The individual tends to keep to themselves and has isolated from you and other family and friends. The individual in question gets very defensive if anyone asks them about the health of their animals. If you have seen many of these signs, it may be time to intervene for the sake of both your friend and the animals he or she is hoarding. It is vital to remember that even though you can clearly see that these animals and your friend are suffering, your friend cannot. While animal hoarding isn’t officially a mental illness, there are components of certain mental illnesses that can play a heavy role in animal hoarding. Part of cat hoarding is being in complete denial about the inability to care for all of the cats, and simply stating to your friend that they do not have this capability will do nothing but have them shut you out from their lives. Even if the living conditions of the cat hoarder’s house is disgusting and clearly unhealthy, start with a non-accusatory dialogue. According to many experts, hoarding is often the result of trauma or significant loss, so remember that the hoarder is most likely in remarkable emotional pain. Empathy, patience, and understanding are necessities with the topic of your hoarder friend’s animals. Reiterate how much you care about this friend and that you know that he or she has nothing but love for all of their animals. Offer to help find professional help and homes for the animals if the hoarder seems receptive. 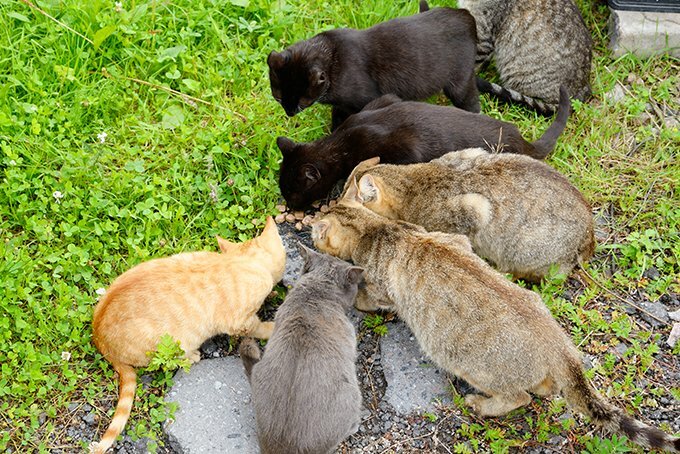 If your cat hoarder friend gets defensive and isolates themselves, it is time to call animal control or a trusted rescue to help medically treat and re-home the cats. Even after this, it is important to reach out again to your hoarding friend. Letting your friend know you are there for them shows that they can receive emotional support outside of caring for an unmanageable amount of cats and will help prevent the cycle from simply happening again. Do you have any experience with a cat hoarder? What steps did you take to insure the health of the animals in the hoarding situation and the hoarder themselves? Let us know your experience in the comments.